Road traffic accidents caused by dazzling sun affecting motorists’ vision have jumped by 12%. 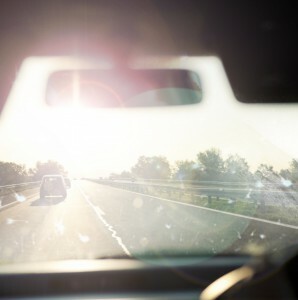 Government statistics show that dazzling sun accounted for 2,905 accidents in 2012, compared to 2,592 in 2011. The Department for Transport report also highlighted that 41% of all sun-dazzle accidents last year were on A-roads, compared to 1.7% on motorways. Screen wash manufacturer Prestone have identified that the increase in accident rates attributable to dazzling sun is consistent with weather data from the MET Office. Official figures show there were 277hours of autumn sunshine in 2011 versus almost 293hours for the same period in 2012. Juliette Mullineux, Brand Manager at Prestone, said: “During autumn motorists are likely to find their vision affected by a range of external factors like low dazzling sun, rain, road spray and traffic grime. “It’s often not apparent just how dirty a windscreen is until the rising or setting sun hits it at a low angle, so it’s vital that motorists prepare their car by using a good quality screen wash to maintain a clear view of the road. Weather-related conditions, such as rain, sleet, snow and fog were the second highest contributory factor, according to the new figures, accounting for 2,448 accidents in 2012. Headlight glare, spray from other vehicles and dirty, scratched or frosted windscreens were a factor in a further 814 accidents.